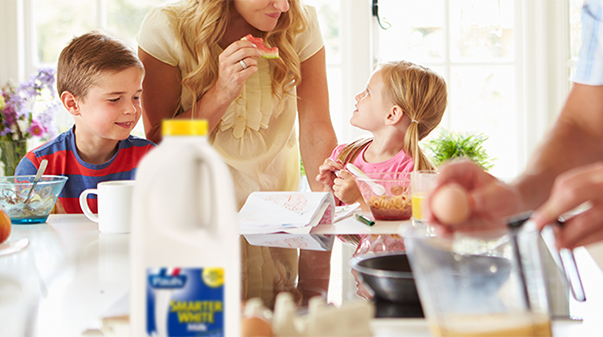 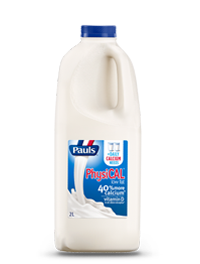 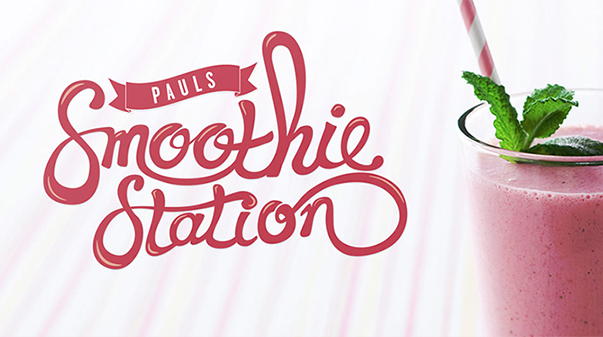 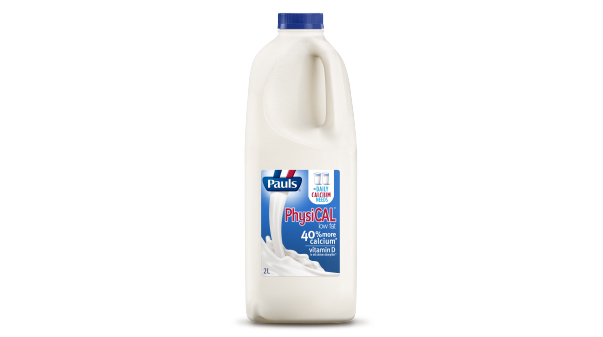 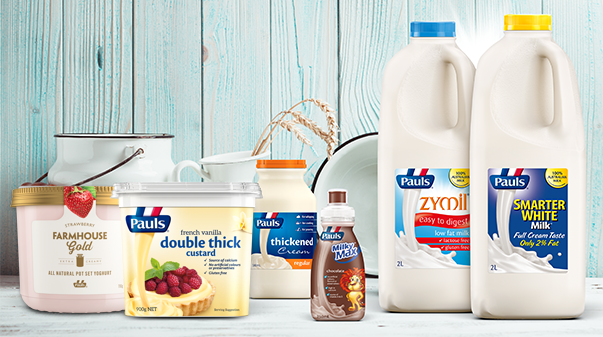 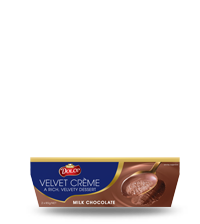 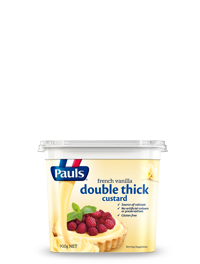 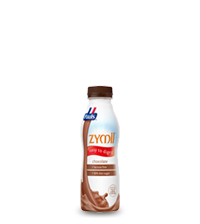 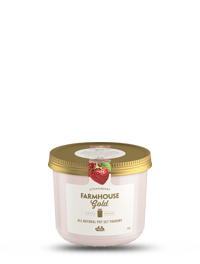 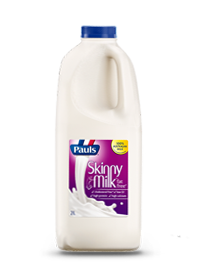 Pauls PhysiCAL has 40% more calcium than regular milk, plus vitamin D to aid calcium absorption. 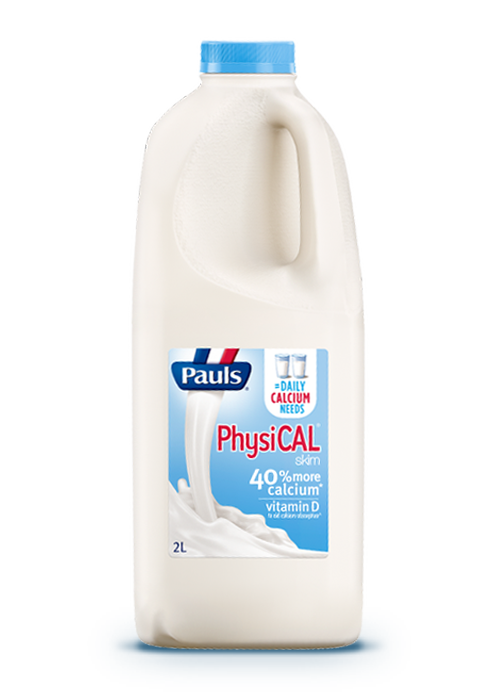 Just 2 glasses of PhysiCAL provides 100% of your daily calcium requirements. 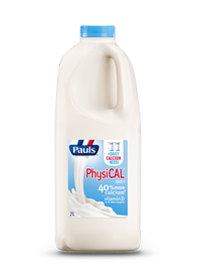 Skim milk, milk solids, stabilisers (460, 466, 407), milk calcium, dextrose (maize), vitamin D.
To help boost your calcium levels and support your bone health view our meal plan featuring Pauls PhysiCAL Milk.